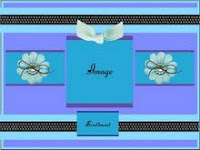 Julie's Crafty Space: Delightful News!! Happy Monday everyone. 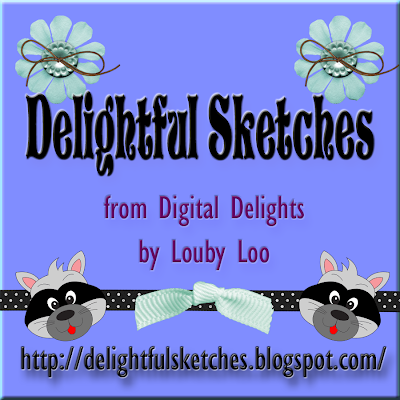 I have some exciting news to tell you today........you will see some new badges on my blog because........I've been selected to be part of the Digital Delights and Delightful Sketches by Louby Lou design team!!!! I'm going to be working with some really, really talented ladies. Challenges are fortnightly (every other Thursday) , at the mo we're on Sketch 8, see pic above, so please have a look and join us if you like. You still have till Wednesday 14th to join in. There are freebies every Friday, there's a fab one this week, pink ribbon Maggie, which you could use for any of the challenges. Also, tomorrow, we're going to be introducing Tutorial Tuesdays with Dawn and Deanne, when they'll be taking turns to show their fabulous creations. Congrats julie! how exciting is this. can't wait to work with you. Congrats to you Julie!! I am SO happy for yoU!! I look forward to working for yoU!! Can't wait to see your creations!! Hope you are well! Delighted to have you with us Julie! !